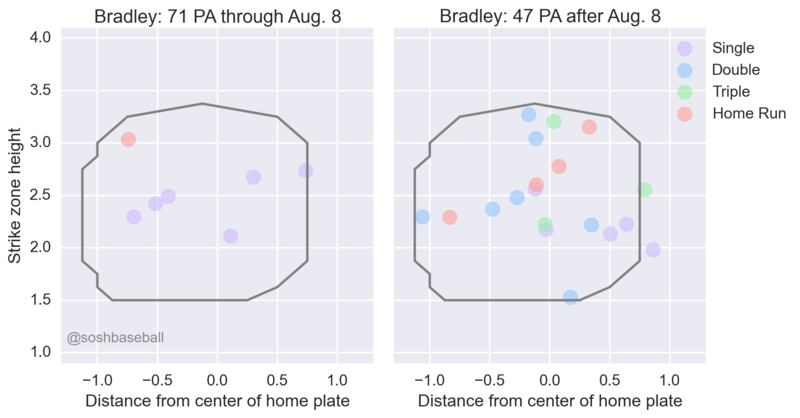 Jackie Bradley Junior has changed his batting mechanics and has started to crush the baseball in locations he couldn’t hit before. This entry was posted in batting. Bookmark the permalink. Follow any comments here with the RSS feed for this post. Post a comment or leave a trackback.